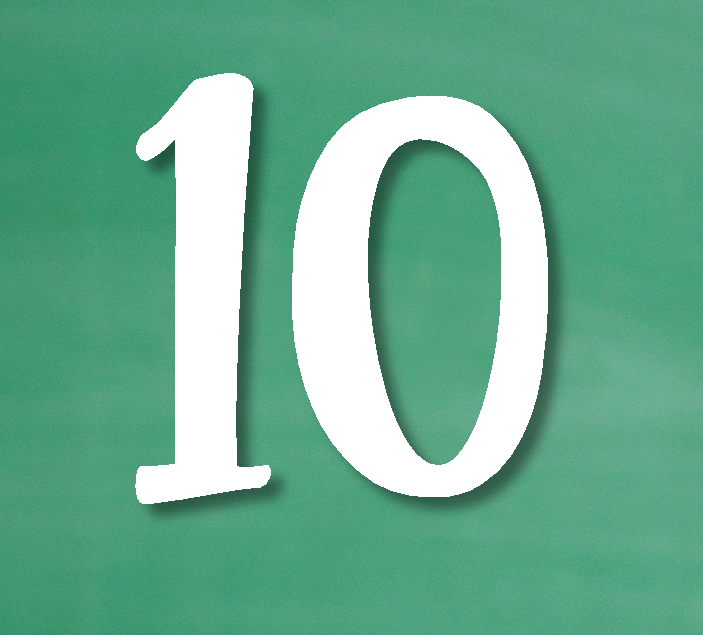 Time management for teachers: 10 Time Saving Tips that help any teacher get organized for the school year. 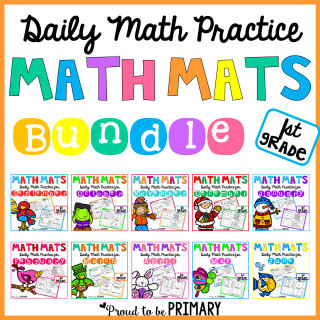 Includes free checklists, labels, and more! 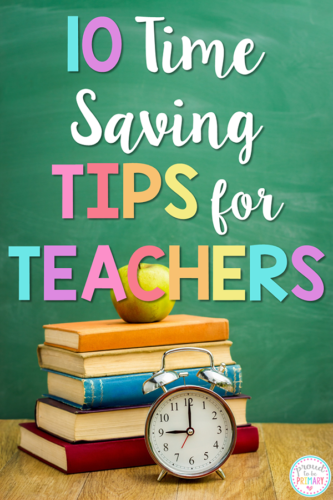 I’m here today to share some tried, tested, and true ways to save you time as a teacher. I have been teaching for many years and in that time I have made many mistakes, but I have learned a lot along the way about time management for teachers. 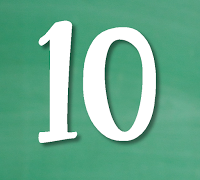 My hope today is that you read my 10 time-saving tips for teachers and that you can implement one or a few in your own classroom. We all know how precious our time is, especially at the beginning of the year when there is so much to do. We start one job and get distracted by another, often forgetting the first. This vicious cycle repeats and at the end of the day we are exhausted and stressed out. Sound familiar? In this post, I will share some ways that I get my classroom ready before school starts and during back to school time. These things take time to prepare, but they will help your year get off to a great start and your future years much easier! 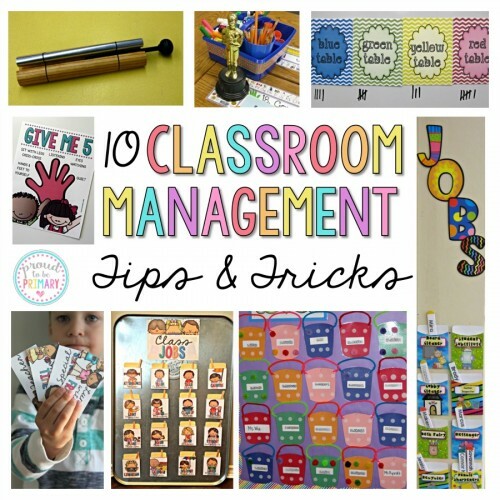 Read on to learn my tips on time management for teachers, grab some freebies, and get organized! 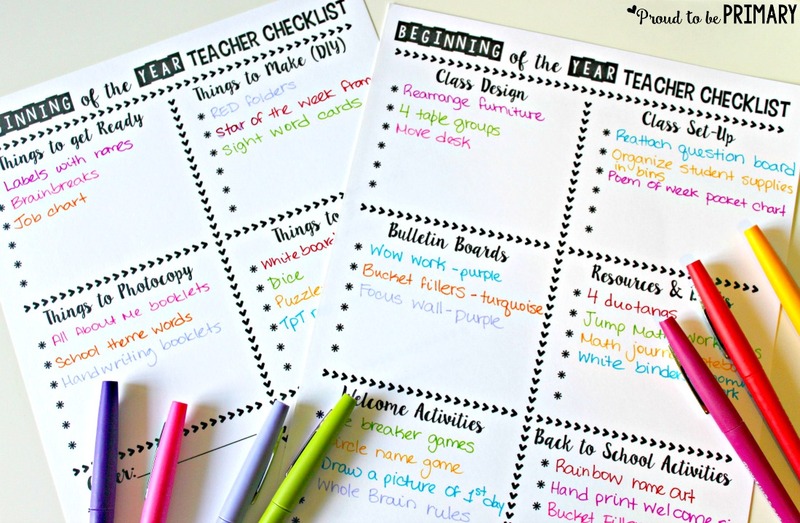 Create a checklist to take into your classroom during your classroom prep and set-up. This is a huge pointer for effective time management for teachers. I started typing out a beginning of the year checklist a few years ago. 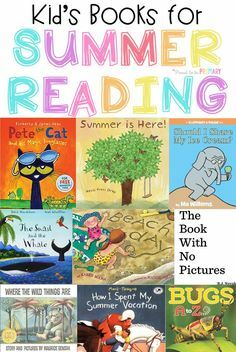 The same list gets started at the end of a school year and added to throughout the summer. 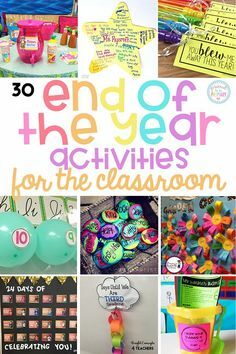 I have an area on my checklist for class design & set-up, beginning of the year activities and ideas, resources & books, bulletin boards, things to get ready, things to make (teacher DIY), things to photocopy, things to buy, and misc. things. You can grab this template for FREE by clicking the image below. I print off the checklist and take this to school during class set-up. The list gets prioritized so I have a plan ahead of time as to what to tackle first, second, and so on. As things get done, I check them off. This gives me a sense of accomplishment at the end of each day. At the end of each day, I can look at my list and decide what I need to focus on for the next day and so on. Make multiple copies of your students names ready to go on labels. 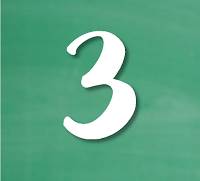 You will save a ton of time if you print your students’ names on labels ahead of time. 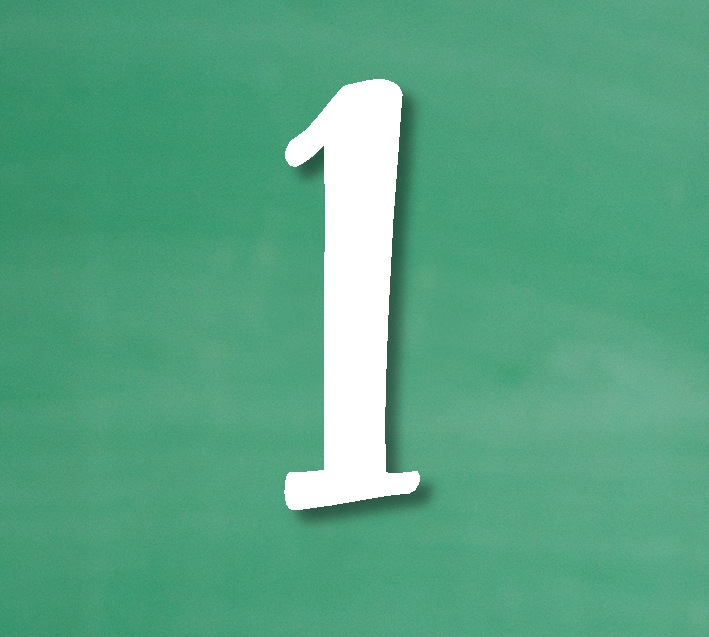 You will not need to spend your time printing out your class list over and over again. 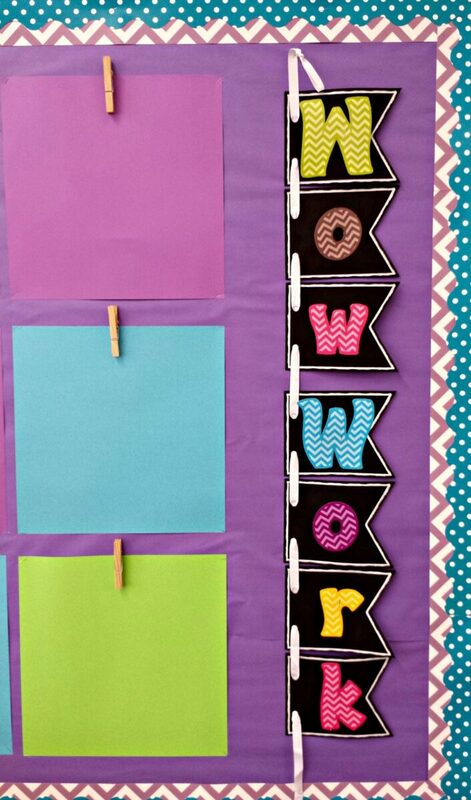 If you label things in your classroom with your student’s names then you are ready to go. 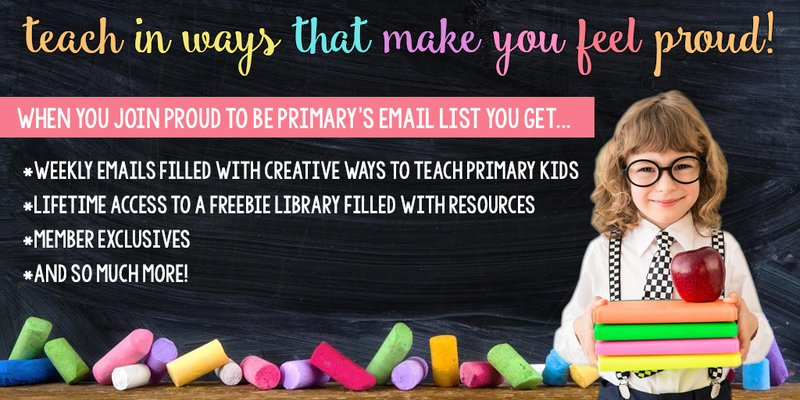 The items you might label are their workbooks, folders, binders, supplies, locker or cubby, mailbox, book box…the list goes on. I like to print my labels on the Avery shipping label sheets (#8165). You can buy them on Amazon HERE. 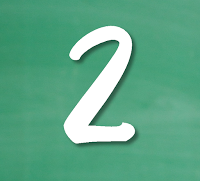 They are a full page at 8 1/2″ by 11″ and you won’t need to format your labels perfectly to fit. 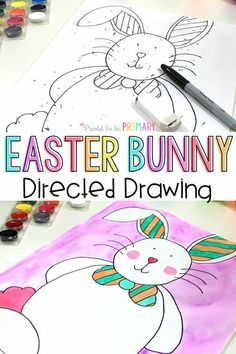 This is especially helpful if you prefer to make larger labels or ones that are shaped differently (circles, fancy shapes, etc.). Then you can cut them out and stick them where they are needed. I also use the labels below which are sized perfectly to fit Avery labels #8163. You can buy them on Amazon HERE. I have made them EDITABLE and they are FREE for you. You can grab them by clicking the image below! Raegan Tundall also has these awesome FREE labels that are awesome for labeling all of those books and folders. 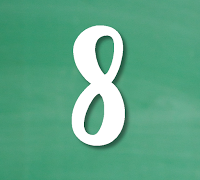 I suggest using supply labels that are EDITABLE and you can insert your students’ names. 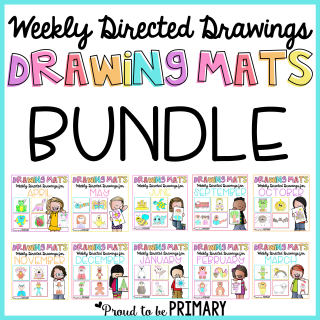 There are many cute options available to dress up your students’ materials. Provide each student with a number for the entire school year. 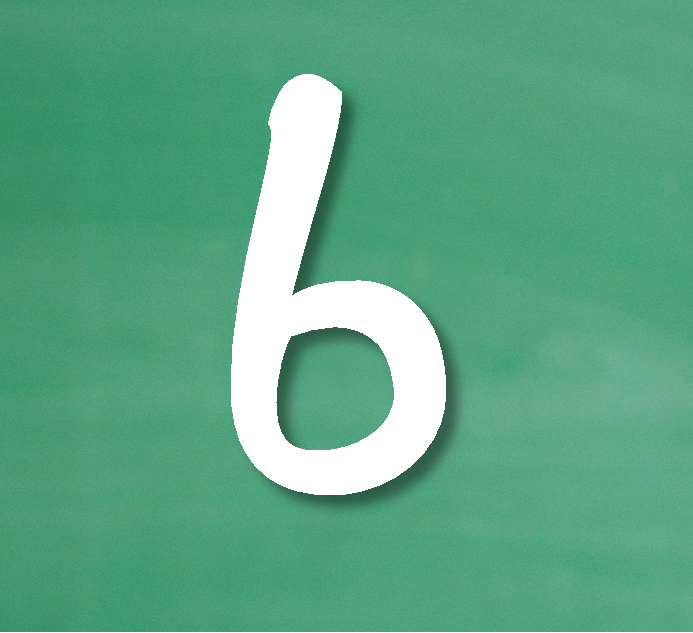 A few years back I started assigning my students a number. 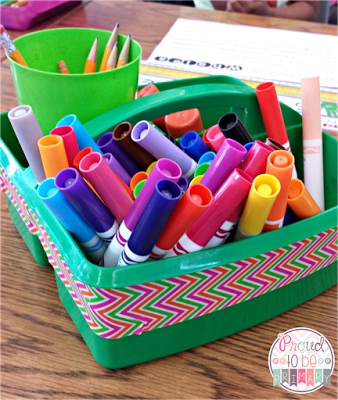 This is a great classroom management and organization tip. 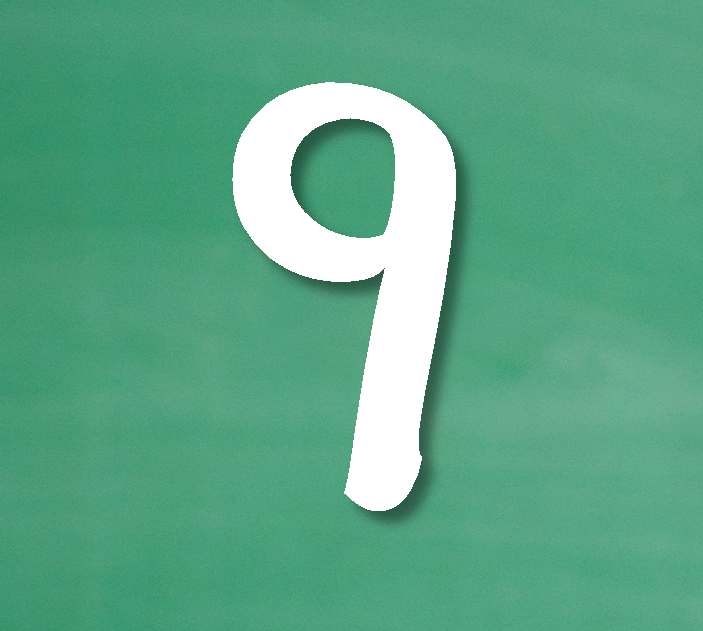 Once your students learn their number, you can use it to get your students to line up in that order, call them to the carpet in that order, or call on students by numbers rather than names. I put their numbers on craft sticks and read out numbers at the carpet for turns. 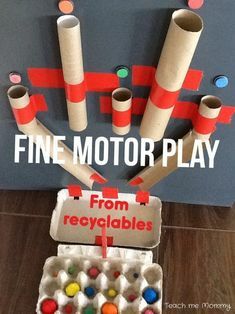 I have used craft sticks to make collaborative learning groups or pairs for p.e. Student numbers are also great for labeling things in your classroom. You will only need to do this once and it will be ready in future years. I prefer to label student book boxes, desks, mailboxes, and with numbers. You can grab these FREE labels for your book boxes or anything you’d like HERE. 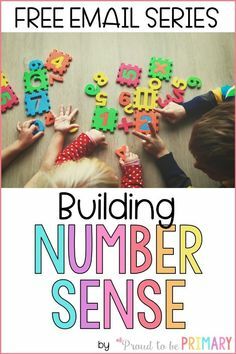 I have seen others use numbers on student work and work organization, assessments, pencils, clip charts, centers, and job charts. 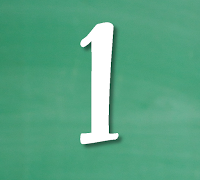 The possibilities of things to label with student numbers are endless. It will save your supplies so you can reuse them and you will spend less time preparing things in the future. Prepare a set of class lists ahead of time. Keep them handy! As soon as I get my list of student names, I make multiple copies of it and pin it to the bulletin board beside my desk. I use the lists constantly. They are attached to work that is completed. They are used to check off student names as they return notices from home or money for events or field trips. I also include a few blank lists at the front of many of my teacher and assessment binders. This saves me time from searching for one and it is handy when I need it. The way of using class lists I find most useful is for assessment purposes. 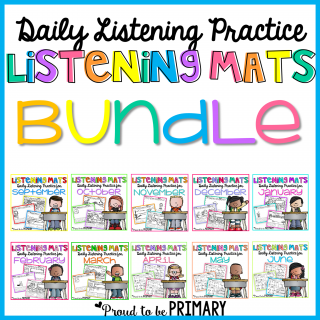 They are great for recording reading levels and scores, completion of work and projects, or jotting down a note when we are at the carpet or in p.e. During math assessments, at the top are the skills I am assessing, and I input the information next to students’ names. I use the basic list from the office for many things, but sometimes I require a different type of template that has special or larger areas for notes. I create a list on my computer at the start of the year and add my students’ names. Keep a master copy at school and photocopy as needed. Decide and set-up an area for supplies, student work, and teacher materials. Have a place for everything! While you set up your classroom, plan to have an area for your supplies to teach small groups, math, whole group activities, centers, etc. I usually place a tub of supplies at each location where I teach my students. Each tub has its own supplies for that instruction. 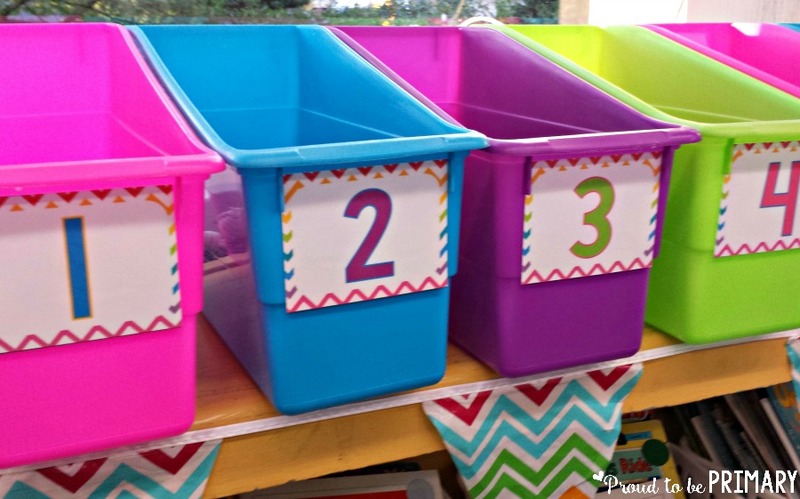 Some materials stay in the tub the entire year, while others change daily, weekly, or monthly. 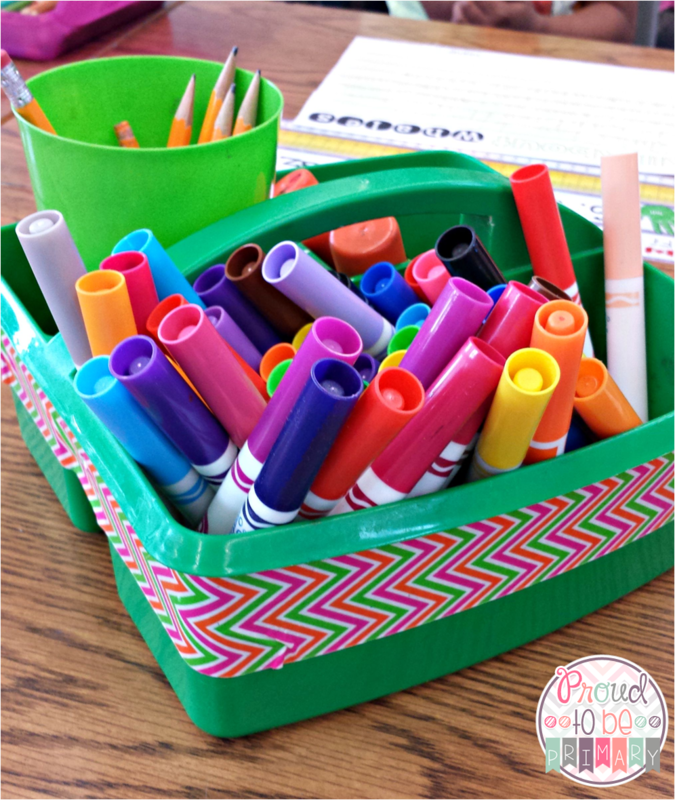 At my guided reading table, I have a tub with my lesson plans, assessment binder, games, sticky notes, whiteboard markers, reading comprehension checkers, and anything else I’m using. 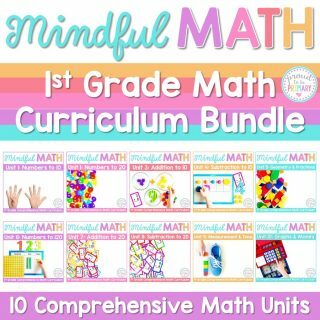 In my math instruction area, I have a tub with the math workshop schedule, lesson plans, manipulatives for the lesson, games, and math activities to complete.This requires some preparation ahead of time and it is something that is ongoing, but it saves me from running around the room trying to find the supplies I need while my students wait. Set up tubs with materials for each of the group pods. I include markers, pencils, and glue sticks in these. There are also separate tubs of school supplies. 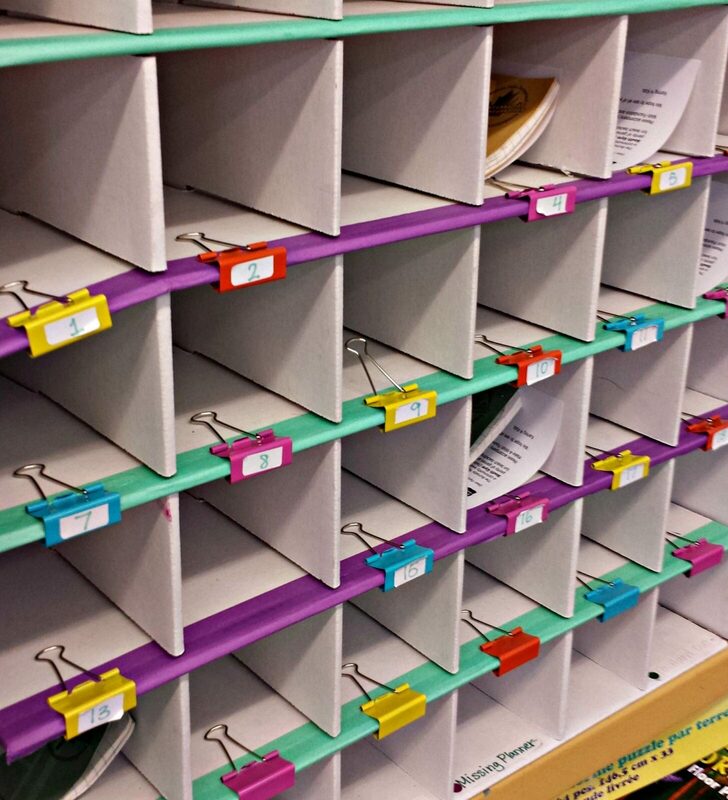 It is also important to have a system of organizing student materials when they are complete. My students hand in completed work into a bin and from there I organize it. Some work goes into our WOW work bin that I have organized with names. I place special work samples in this bin and later I put them into student portfolios that we use during student-led conferences. 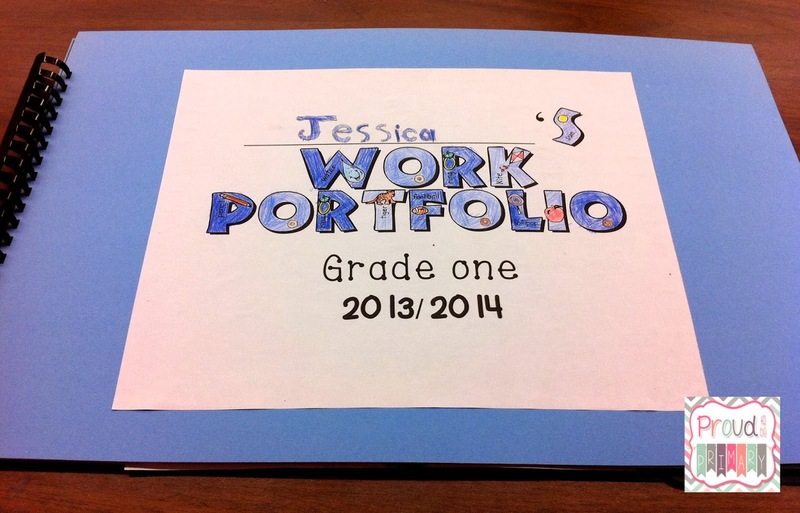 These portfolios are also a great keepsake for students. Families appreciate these and love seeing the growth. To read more about how I set up my student portfolios and grab some FREEBIES to set up your own portfolios, click HERE. 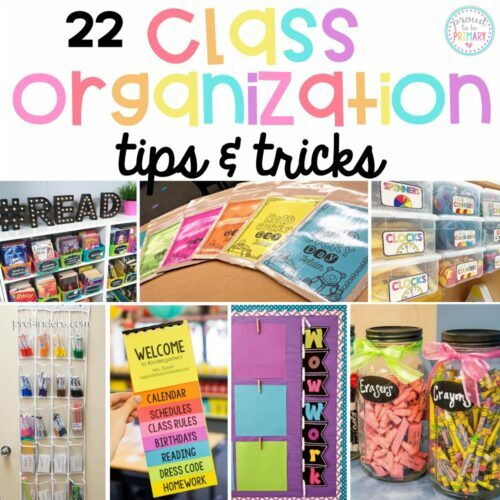 I teach my students early in the school year about my system of organization so that it can become their own as well. 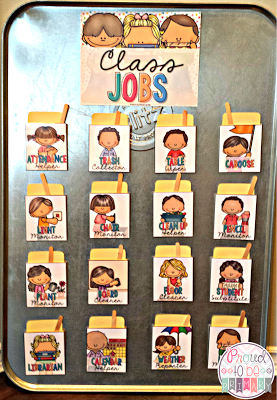 We use classroom jobs in my room to help keep things organized. There is a job for librarian (helps keep books organized and returns books to the library), clean-up helper (helps put materials away into the right spots), messenger (helps put the mail into the mail boxes), paper monitor (helps collect paper and put them into our work bins), and more. 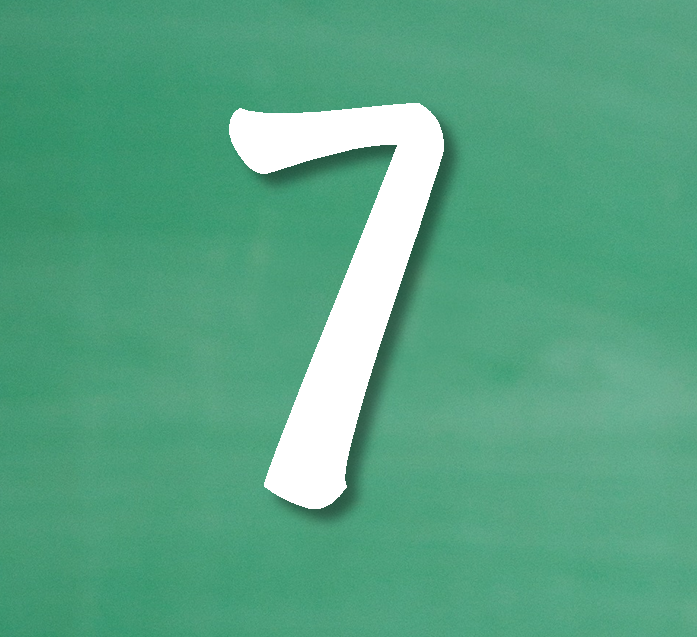 You can check out my post about having classroom jobs HERE. 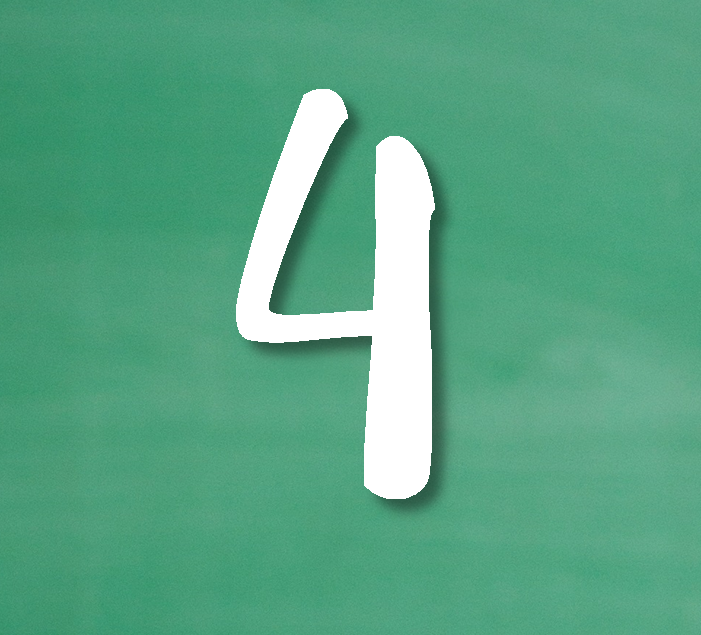 Have a few strategies ready to teach your students at the beginning of the year. It is important to have a plan ready on the first day of school. Decide ahead of time what strategies you will use and research those methods. Get your materials ready and make a plan of how you will teach your students and what you will say. If you make these decisions ahead of time and take the time to teach them at the beginning of the year, it will save you a ton of time throughout the year. When students understand the classroom expectations right from the start, there will be less disruptions from negative behaviours. For example, teach clear classroom rules, review them, and post them. In return, students understand expectations. They will usually follow those rules. 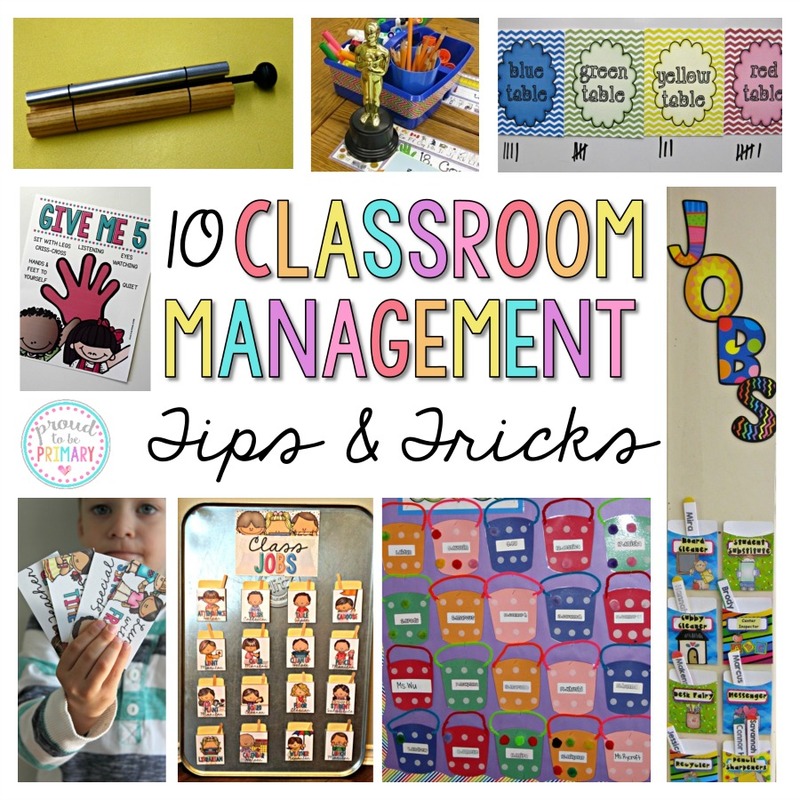 Head HERE to read my 10 Classroom Management Tips and Tricks. You can grab some FREE management tools and great suggestions there. Prepare a list of daily, weekly, and monthly tasks. Have it in a highly visible place! I like to have a to-do list attached to my desk, next to my calendar. On my to-do list, I have a section for daily tasks, monthly tasks, and weekly tasks. You could laminate copy that you check off with a dry-erase marker. You could post it on your teacher bulletin board. Find a way that works for you! If you would like a copy of my to-do list template to create your own, click the image below. Pick one day of the week to get things ready for the following week. Stick to it! Since the beginning of my career, I know that it is better to prepare and plan my lessons well in advance, instead of the day before. You never know what may happen that might take you away from your prep time. You might get sick or need to be away from school unexpectedly. Once I begin to get my lessons and materials ready the week before, things are easier, less stressful, and I find that I have more time. It’s a great feeling to walk into your class in the morning and have most of your day prepared. Of course, there are always things to do each day, but having the intention to prepare the big things in advance is a plus! I suggest picking one day in the middle of the week that you don’t have too many other commitments. Spend extra time that day before or after school preparing your materials for the following week. 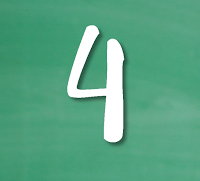 Sit down and write your lesson plans or day plan in advance. From there, photocopy, cut, glue, or whatever you have to do. 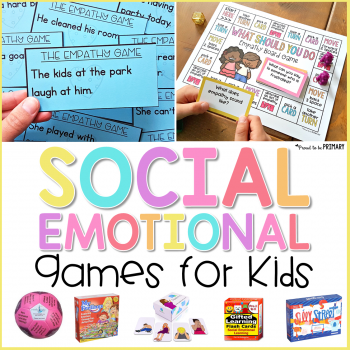 Prepare extra work, review activities, and educational games for fast finishers. Keep them busy! 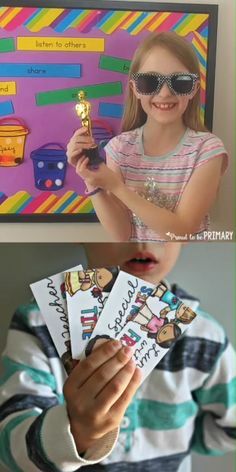 I have a ring of fast finisher activity cards or activities posted in our pocket chart ready for students who finish an activity before others. 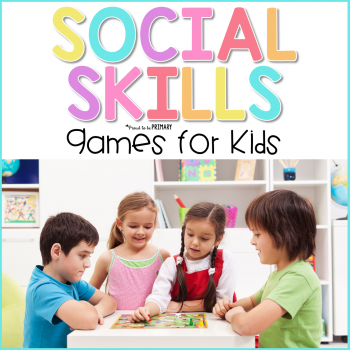 I teach them that they can start one of these activities independently. 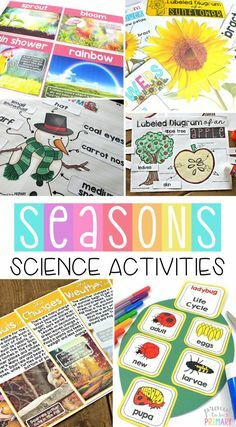 These activities do not require extra teaching time from me and can happen without disruption to the class. 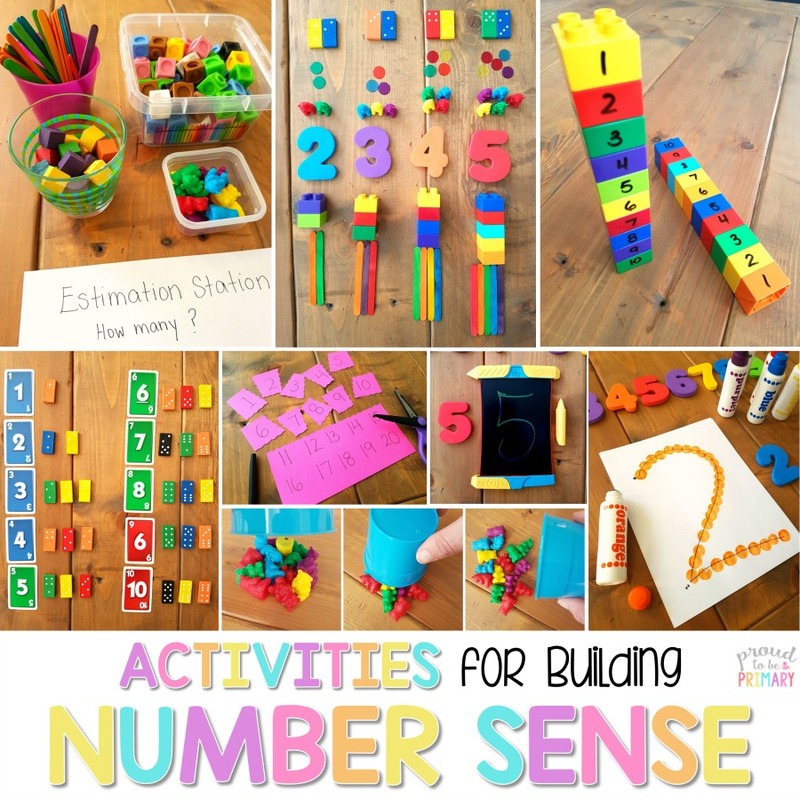 Some of the activities included are puzzles, white boards, books, and math manipulatives. 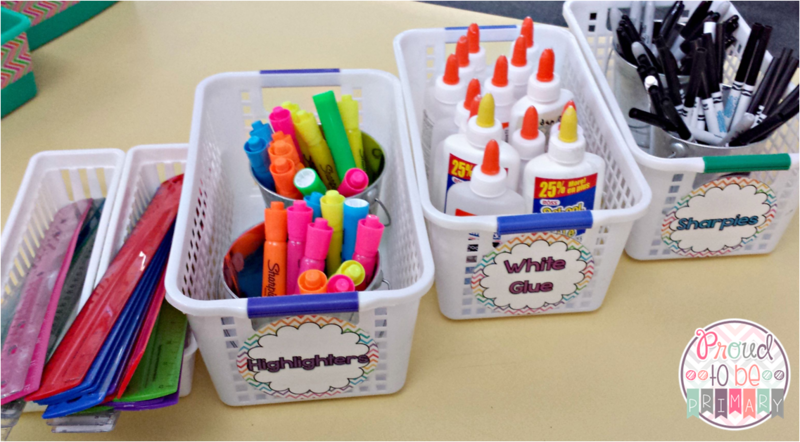 Students who love to get ahead choose to finish work from the “to be completed” bin. There are also some who like to have “extra work” in math or language arts. 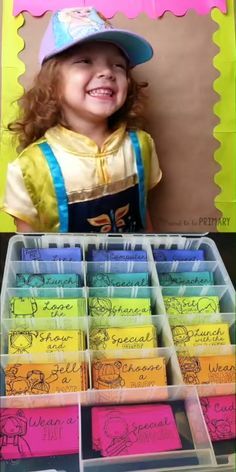 I will copy extra activities for them and have them ready in a hanging folder that they can access. 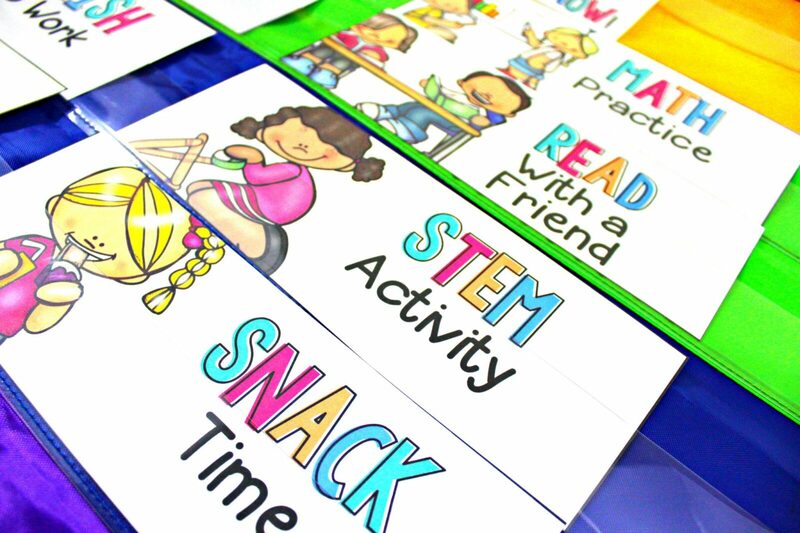 Class Fast Finisher cards help students transition from activity to activity and keep them busy when the teacher is working with other students. 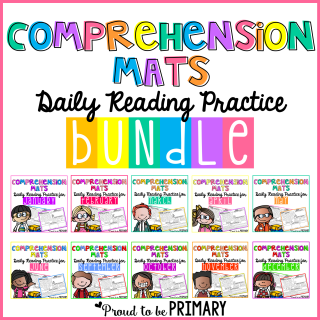 These activities are simple to prep and are often ones that students complete every day. 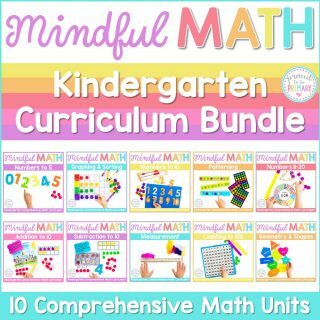 They are the perfect busy activities that will keep students focused and learning when the rest of the class is completing work. Take the time to make great work samples the first time. Save them! I quickly tire of not saving the things that I make in class and having to redo the same samples year after year. Instead, I started to create and spend time creating quality samples that I could save and put into my files for future years. 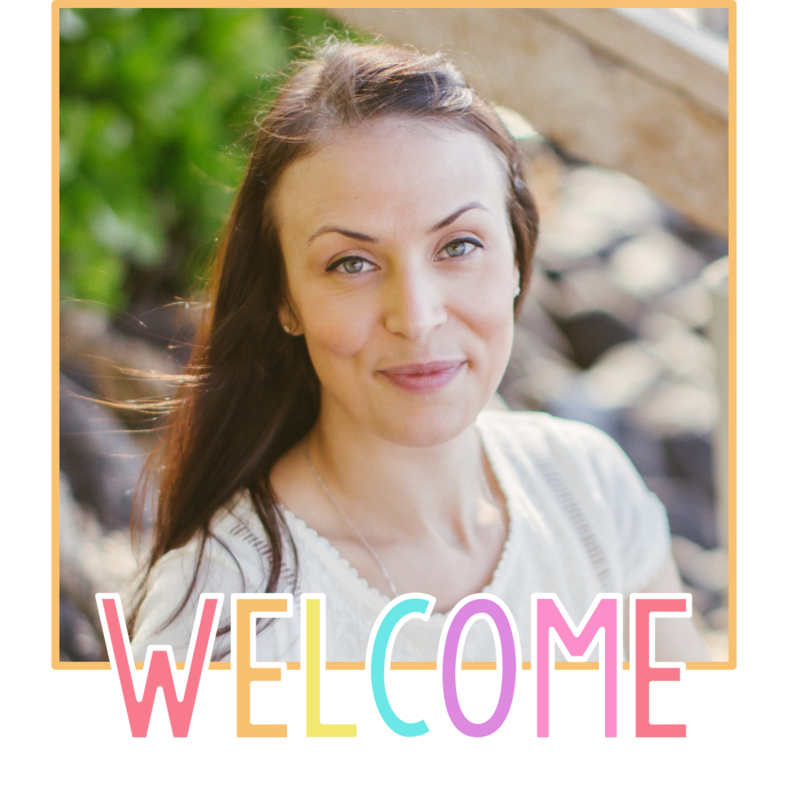 I create samples for anchor charts, arts and crafts samples, completed printable worksheets, math games, and more. 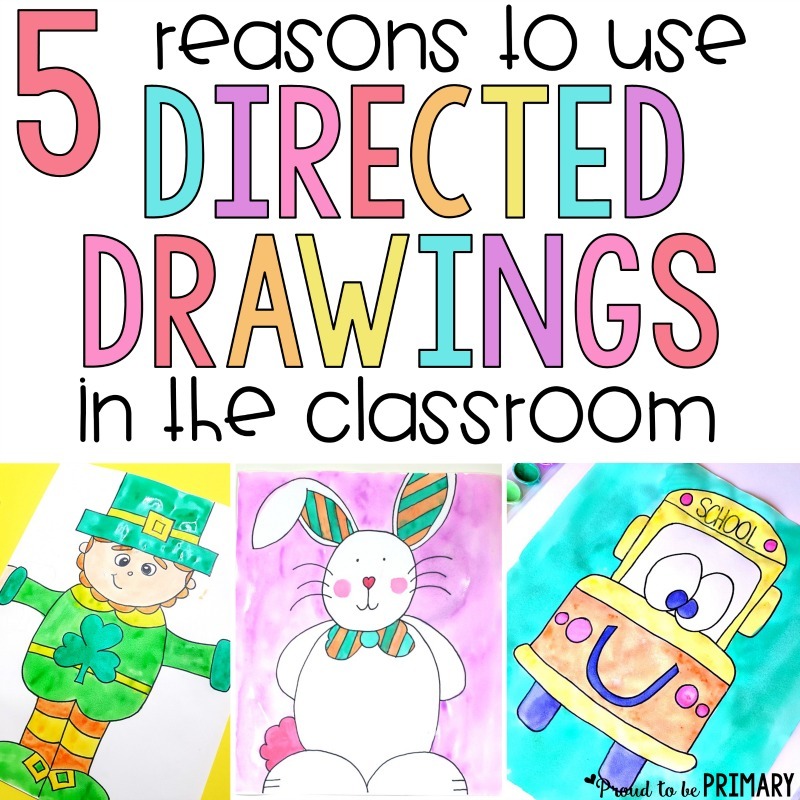 Spend time before a lesson creating samples and anchor charts that you would want to save. Save all of your samples with your lesson plans and materials for a given unit. Your samples will come in handy in future years when you are teaching lessons and you have something prepared to share with your students. Yes, it takes time when you start this, but it will save you tons of time in the future. 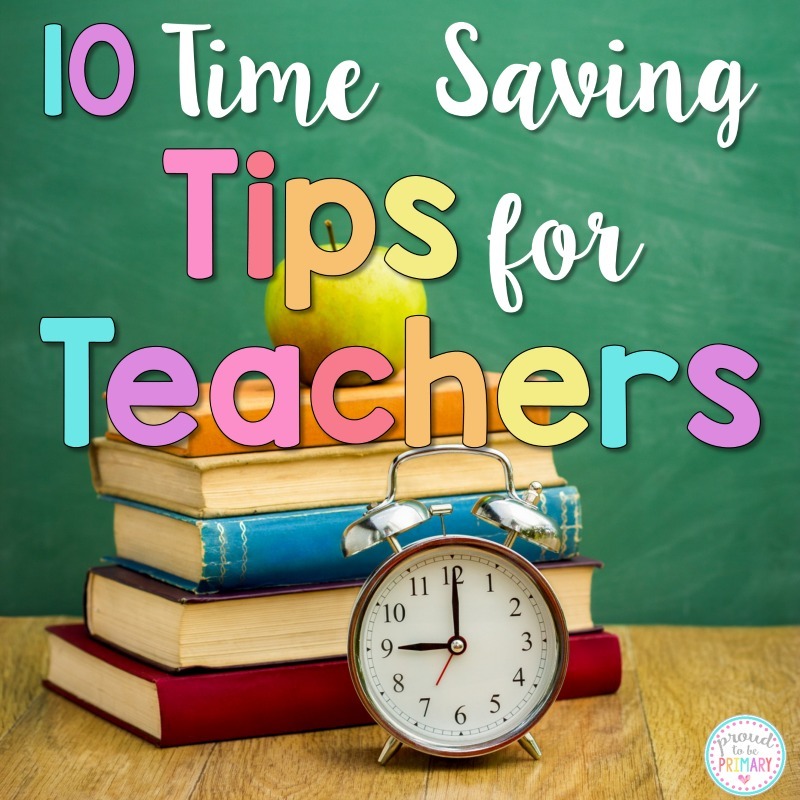 I hope that you have gained some new time-saving tips to make your year run smoothly from my 10 time-saving tips for teachers. My wish is that you get more time to focus on your students’ needs and their learning. Good luck! I hope you enjoyed this post! 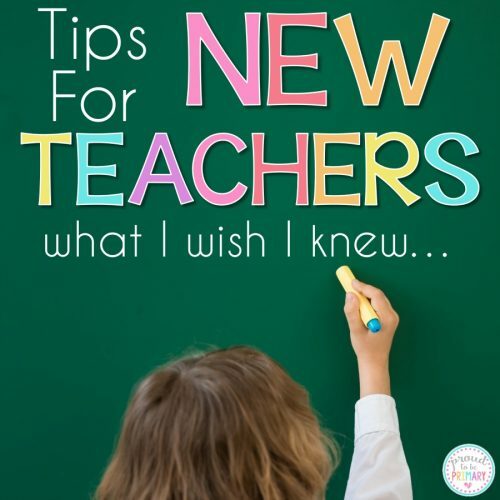 If you would like more tips and ideas from me, be sure to follow me on Teachers Pay Teachers,Instagram, Pinterest, and Facebook to stay connected with the latest news and freebies! 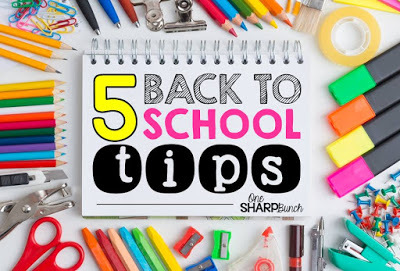 If you are looking for some more great back to school tips, check out One Sharp Bunch‘s 5 Tips for Back to School HERE. Great posts! A lot of good ideas with great freebies! Thanks so much Adrienne! I hope you grabbed something you can use. Thanks so much Sonya! Have a great start at your new school. Great post, Elyse! Love the binder clips on the mailboxes! 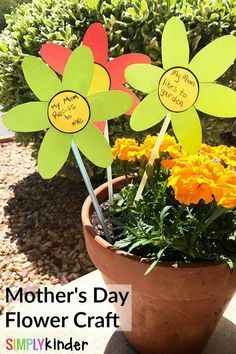 So much better than labeling them every year with the kiddos' names. I am for sure giving that a try this year! 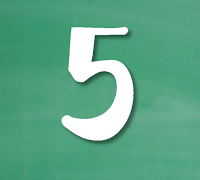 Thanks for the back-to-school checklist! I am so happy that I started labeling with numbers instead of names now. Such a huge time saver! You have great ideas! Thanks for sharing! I have a question about the labels. Maybe I'm just extremely tired but how to I change the font size? Want to use in the student's binders and "homework" isn't fitting. The labels are not editable. 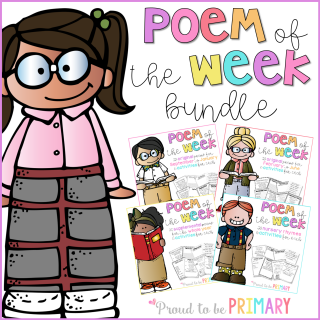 If you email me at proudtobeprimary@gmail.com we can discuss a custom order if you wish. Thanks so much, Barbara! We are constantly learning and evolving as teachers, aren't we? 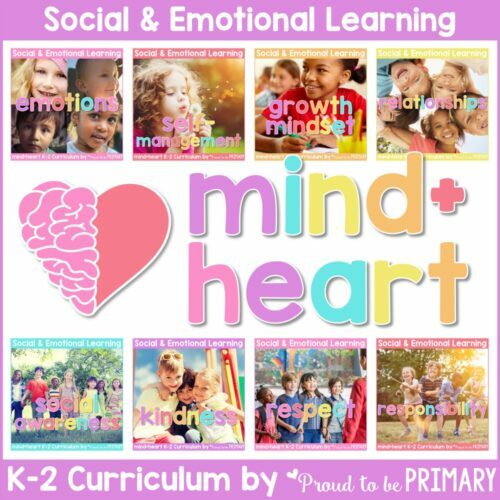 That would work well for elementary school. How about HS where we have close to 200 students? I’m not sure about HS as I teach primary children in Elementary. However the general principles would be the same for any teacher at any grade just in a different manner. I love your teacher time savers. Ready this year more than ever. I’ve also decided to use themed science packets this year as apprised to worksheet here and there. Any advice or thoughts on that? ?